There were 5 posts published in June 2012 (this is page 1 of 2). There is nothing wrong with that behavior. It’s allows you to keep options open. 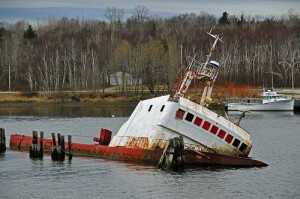 However, now the sunk costs fallacy comes into play. What’s the idea behind that fallacy? Sunk costs are costs which can’t be recovered. An example (from Wikipedia) is non-refundable movie tickets. You could either watch the movie, even if its horrible or just throw the tickets away and do something else. Rational behavior would be to do something else if this something else (for example, eating ice cream) has a higher utility than watching the horrible movie, even if you paid $50 for the movie ticket. The sunk costs shouldn’t influence your decision. The fallacy is that people do include sunk costs instead of ignoring them. How does that apply to education/careers? Let’s go back to our successful students. They finally graduated and have now the chance to choose the future career. What I’ve experienced is that they don’t want to throw away their past efforts and decided that they should rather choose a career in management consulting/investment banking/research instead of what they actually want to do; something that would make them happier. And all this just because they don’t want to have the feeling that they wasted some of their time. Firstly, you don’t have wasted your time. See it this way: All your experience that you earned in this time helped you to come to the conclusions you have now. Secondly, it’s quite normal to act like this, however not the best way. The underlying phenomena is loss-aversion. People try to avoid loss more than they try to get profit. Approximately $2 loss is equal to $1 earned. Thirdly, this is what I call the second division effect/strategy. It comes from football leagues. There is the premiere league or first division where all the top players of a country play in. And there is the second division, where good but not great players play in. The idea is this: You could either be a mediocre player in the premiere league or a top player in the second division. I personally be rather the top player in the second division. Interestingly, there is research which shows similar results for most of the population. They were asked to choose one job. On the first job they would earn $50k but everybody else would earn $60k. On the other job they would earn $40k but everybody else would earn $30k. The majority choose the second job, the second division job. All in all, the best thing is simply try to avoid to fall into this trap but when you gain more insight into yourself, you’ll probably be able to climb out of this pitfall. 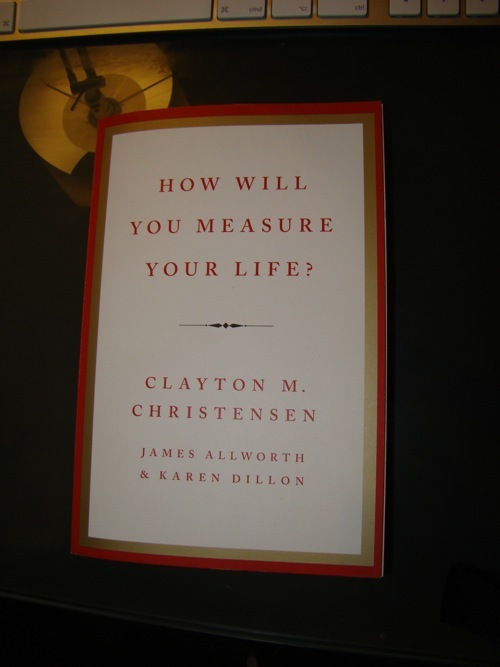 #5/25: How will you measure your Life? This will be another book commentary, because there are just so great things in this book, that I don’t have to reconstruct because it’s already written quite concise. Too many of us who start down the path of compromise will never make it back. Considering the fact that you’ll likely spend more of your walking hours at your job than in any other part of your life, it’s a compromise that will always eat away at you. I probably said it before, but if you want to do something, do it now, not in two years or ten years or after you married. You probably won’t do it in the future. If you want to start a company, do it now. If you want to work in a foreign country, do it now. If you want to work in a NPO, do it now. By that’s not what I saw at the moment. Instead, I was impressed by the love Diana and her husband clearly shared with their two children. Seeing her there, I began to gain a perspective of Diana in the full context of her life. She wasn’t just a scientist. She was a mother and a wife, whose mood, whose happiness, and whose sense of self-worth had a huge impact on her family. I studied economics and some portion of my fellow students pretty much had a view that people only react to money and that is everything there is at the job. Research have refuted this view since a long time but some people still don’t want to accept this. Interestingly, some organizations think everything can be solved with enough money; another fallacy. Frederick Herzberg: This theory distinguishes between two different types of factors: hygiene factors and motivation factors. 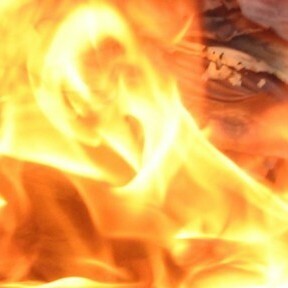 On one side of the equation, there are the elements of work that, if not done right, will cause us to be dissatisfied. These are called hygiene factors. Hygiene factors are things like status, compensation, job security, work conditions, company policies, and supervisory practices. Compensation is a hygiene factor. You need to get it right. But all you can aspire to is that employees will not be mad at each other and the company because of compensation. This is an important insight from Herzberg’s research: if you instantly improve the hygiene factors of your job, you’re not going to suddenly love it. At best, you just won’t hate it anymore. Motivation factors include challenging work, recognition, responsibility, and personal growth. Feelings that you are making a meaningful contribution to work arise from intrinsic conditions of the work itself. This connects to the last quote and Punished by Rewards by Alfie Kohn. The salary should be enough, so that people don’t have to think about it but it doesn’t help to motivate. Kohn quotes some studies that investigated whether commission helps to motivate sales persons to sell more and the studies concluded that it didn’t help at all and sometimes even had a adverse effect. These motivational factors will become more important in the next years because Gen Y is entering the work force and they value these factors way more than the previous generation. But after it [playhouse] was finished, I rarely saw the children in it. The truth was that having the house wasn’t what really motivated them. It was the building of it, and how they felt about their own contribution, that they found satisfying. This is a fundamental insight. Firstly, this mindset doesn’t apply to everybody. I know some people who find results more important than the process. Secondly, at least I know a lot of hackers and crackers have this mindset. A proof of concept (PoC) is often enough to feel accomplished. You’ve shown that you can do it. In startups, there’s often a similar mix of mindsets. The founders are often people, that look for a proof of concept. Getting the first profit, afterwards they aren’t so much interested in scaling the company. However, there are people who love to build on something and scale it up. In conclusion, it depends on the job and the state which person you want to hire or which job you want to take. Is this work meaningful to me? Is this job going to give me a chance to develop? Am I going to learn new things? These are the things that will truly motivate you. Once you get this right, the more measurable aspects of your job will fade in importance. These questions are a great summary of the findings in this chapter. Just work them through. When the company’s leaders made a clear decision to pursue the new direction, the emergent strategy became the new deliberate strategy. […] Strategy almost always emerges from a combination of deliberate and unanticipated opportunities. What’s important is to get out there and try stuff until you learn where your talents, interests, and priorities begin to pay off. When you find out what really works for you, then it’s time to flip from an emergent strategy to a deliberate one. This last few sentences are important. Really, just try stuff. Try it, if it works and you have fun, great. If it doesn’t, just do something else. This applies for a career, a company or your life in general. Discovery-driven planning by Ian MacMillian and Ria McGrath: Ask yourself what assumptions have to prove true for you to be happy in the choice you are contemplating. Are you basing your position on extrinsic or intrinsic motivators? Why do you think this is going to be something you enjoy doing? What evidence do you have? Pretty much same approach was used in Running Lean. Create hypotheses and test them. If you can reject them, then you know at least that the current project/job isn’t the right one. You can talk all you want about having a strategy for your life, understanding motivation, and balancing aspirations with unanticipated opportunities. But ultimately, this means nothing if you do not align those with where you actually expend your time, money and energy. They prioritized things that gave them immediate returns — such as a promotion, a raise, or a bonus — rather than the things that require long-term work, the things that you won’t see a return on for decades, like raising good children. This is actually a field economics helps a lot, understanding incentives. Every structure generates incentives, often a lot of unintended ones. In this company it was probably an unintended incentive and a resulting consequence. But this happens more often that you may think. Professor Amar Bhide showed in his Origin and Evolution of New Business that 93 percent of all companies that ultimately become successful had to abandon their original strategy — because the original plan proved not to be viable. The latest (?) hype term was pivoting, that is exactly was Amar Bhide described. Mind you, that book was written in 2000. However, probably somebody saw this even earlier. The theory of good money and bad money essentially frames Bhide’s work as a simple assertion. When the winning strategy is not yet clear in the initial stages of a new business, good money from investors needs to be patient for growth but impatient for profit. It demands that a new company figures out a viable strategy as fast as and with as little investment as possible — so that the entrepreneurs don’t spend a lot of money in pursuit of the wrong strategy. Financial restriction can be a lot more healthy for a company if it has to generate profits. A friend of mine and I talked about it and I think that you could probably get more innovation if decrease rather than increase the budget for “R&D”. You can probably increase the effect if you create an extra company just for a new product idea. There’s significant research emerging that demonstrates just how important the earliest months of life are to the development of intellectual capacity. […] Todd Risley and Betty Hart, studied the effects of how parents talk to a child during the first two and a half years of life. After meticulously observing and recording all of the interactions between parent and child, they noticed that on average, parents speak 1,500 words per hour to their infant children. “Talkative” parents spoke 2,100 words to their child, on average. By contrast, parents from less verbal backgrounds spoke only 600 per hour, on average. And it didn’t matter that just any words were spoken to a child — the way a parent spoke to a child had significant effect. The researchers observed two different types of conversations between parents and infants. One type they dubbed “business language” — such as, “Time for a nap”, “Let’s go for a ride”, and “Finish your milk.” Such conversations were simple and direct, not rich and complex. In contrast, when parents engaged in face-to-face conversation with the child — speaking in fully adult, sophisticated language as if the child could be part of a chatty, grown-up conversation — the impact on cognitive development was enormous. These richer interactions they called “language dancing”. Language dancing is being chatty, thinking aloud, and commenting on what the child is doing and what the parent is doing or planning to do. “Do you want to wear the blue shirt or the red shirt today?” “Do you think it will rain today?” “Do you remember the time I put your bottle in the oven by mistake?” and so on. Language dancing involves talking to the child about “what if” and “do you remember” and “wouldn’t it be nice if” – questions that invite the child to think deeply about what is happening around him. Great to know. I will probably read some books about this topic in the future. This is just an appetizer. IKEA doesn’t focus on selling a particular type of furniture to any particular demographically defined group of consumers. Rather, it focuses on a job that many consumers confront quite often as they establish themselves and their families in new surroundings: I’ve got to get this place furnished tomorrow, because the next day I have to show up at work. You’ve probably heard about this theory before and I find it pretty good. As a company, it is important why people use your products/service. This works on a deeper level. Why do people use your website, which job are they going to get done? And it hasn’t just to be one job, it could depend on time, location or other factors. If someone develops a product that is interesting, but which doesn’t intuitively map in customers’ mind on a job that they are trying to do, that product will struggle to succeed — unless the product is adapted and repositioned on an important job. A bit more on new product development / startups. It’s a very economic question: “How does this product decrease effort / cost or increase profit?” – however, thanks to loss aversion decrease of costs its about two times higher valued that increase in profit at a personal level. In the B2B market, it’s probably more 1:1. The two fundamental jobs that children need to do are to feel successful and to have friends — every day. This is their explanation why school does such a poor job. Do kids feel successful if they get bad grades? No. Do kids have friends, if they are the nerds/dorks? Probably no. The first of the factors that determine what a child can and cannot do is his resources. The second group of factors that determine a child’s capabilities are processes. Processes are what your child does with the resources he has, to accomplish and create new things for himself. The final capability is the child’s personal priorities. This is the three factor model applied on a person instead of a company. They attribute that the last two are the most important. Parents seem to be carting their children around to an endless array of activities in which the kids are not truly engaged, it should start to raise red flags. Are the children developing from these experiences the deep, important processes such as teamwork, entrepreneurship, and learning the value of preparation? Or are they just going along for the ride? Self-esteem — the sane that “I’m not afraid to confront this problem and I think I can solve it” — doesn’t come from abundant resources. Rather, self-esteem comes from achieving something important when it’s hard to do. Interesting enough, Nathaniel Branden which is quite famous for his work on self-esteem, emphasized that self-esteem can only come from within and goes along with accomplishment. However, like so many great theories, it got dumbed-down to “give medals to everybody!”. Children learn when they are reading to learn. Or, in other words, he had the right processes to do the job. In expressing a preference for t he more polished candidate, we biased ourselves toward resources over the processes. It is what I described in the previous chapter as something parents do, and it’s an easy mistake to make. The underlying theory is, that solving the right problems helps you solving the same problems later, not general aptitude. Rework communicated that before. Don’t hire a quantum mechanics PhD for web design, hire somebody who designed websites before. They will have more fun, more challenging work and be happier than the quantum mechanics PhD in the same job. He’ll think, my parents will be there to solve hard problems for me. I won’t have to figure it out on my own. Good grades are what matters, much more than doing the work. I agree with such a lot in this book, it’s terrifying. I heard about some teachers, that expect that parents will help kids on their assignments. It’s crazy. Where’s the accomplishment, if you haven’t accomplished anything? Like in the example with our hiring mangers at the start of this chapter, it’s tempting to judge success by a resume — by looking at the scoreboard of what our children have achieved. But much more important in the long run is what courses our kids have taken as they’ve gone through the various schools of experience. More than any award or trophy, this is the best way to equip them for success as they venture out into the world. In the case of a company, it’s common to describe culture as the visible elements of a working environment […]. But as MIT’s Edgar Schein explains, those things don’t define a culture. They’re just artifacts of it. I really like this definition because it’s neutral. A culture could be pretty bad because people stop improving or criticizing the status-quo. But, nonetheless it’s a culture. What’s also important is that: A culture happens, whether you want it to or not. Tony Hsieh written a ton about creating and sustaining a culture in Delivering Happiness. I would recommend that to you, if you want a non-academic introduction into this field. It starts with defining a problem — one that recurs again and again. Next, they must ask a group to figure out how to solve that problem. IF they fail, ask them to find a better way to solve it. Once they’ve succeeded, however, the managers need to ask the same team to solve the problem every time it recurs — over and over again. The more often they solve the problem successfully, the more instinctive it becomes to do in the way that they designed. Culture in any organization is formed through repetition. This is an other important point about culture. It’s created through repetition. Better, repetition and consistency. Famous examples abound — Enron had a “Vision and Values” statement. IT aimed to conduct itself in line with four Values: Respect, Integrity, Communcation, and Excellence. There’s a nice game I played with a friend a while. Go to a random company site, look for the mission/values statement. Check how many of these points are really implemented. More often than not, only a few points are really into their culture. Mostly, they just write what they think would be great but it’s not true and of no value. I personally don’t care about what people/companies promise. Show me what you do, that’s what I want to see. The answer is in the theory of marginal versus full costs. This is a rather common scenario. Sometimes but it’s clear where this comes from. Try to avoid such situations and try to think in a bigger picture. What do you want to be like? How do you become committed? You can ask yourself, which purpose you are currently following. All in all, I really liked this book. It’s well written, the idea of applying business frameworks on one’s own life is great and the observations are head-on. Recommendation! Recently, I checked some Defcon presentations and stumbled upon this beauty. It’s a presentation about cracking Google’s voice captcha by the guys of the Defcon Group 949. Firstly, you can get more information, the code, corpus, etc. on their project page. The video isn’t directly from one of the Defcons but from LayerOne. There were two systems. An old one, which could be activated if JS was disabled, which included 2 voices and 10 digits and the new one with one voice and 58 words. There was some research done on the old system by Stanford and CMU. Stanford achieved about 1.3% accuracy, CMU about 58%. These guys achieved, on the newer system, 99.1% accuracy. Just amazing! However, Google changed the system a few hours before their presentation and their accuracy dropped down to 0%. There were about 20 – 25 million audio aptchas, i.e. if you solve enough you get duplicates. They created a lookup table which provided 61% accuracy in about 0.005 seconds. The big problem of this countermeasure is that humans got about 30% success rate. Reminds me of Rapidshare’s infamous cat captchas. Great talk, extremely interesting. Especially, interesting is that they show again that it doesn’t really matter if you use NNs, SVMs or RBM for prediction but that the work before that, i.e. classification by hand, feature extraction and learning about the system (mashing), and after that, i.e. creating ensembles is much more important than using the latest method. I stumbled upon this post by decisionstats about tableplot. 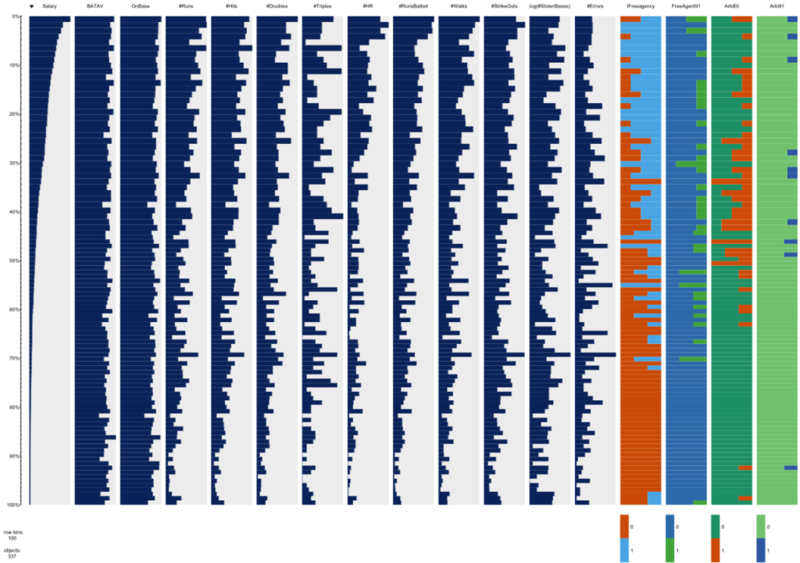 I thought this library for R was quite cool and applied it to this data set with baseball player’s salaries and metrics. It’s definitely a nice visualization tool and works especially fine with large data sets because it automatically bins observations together.